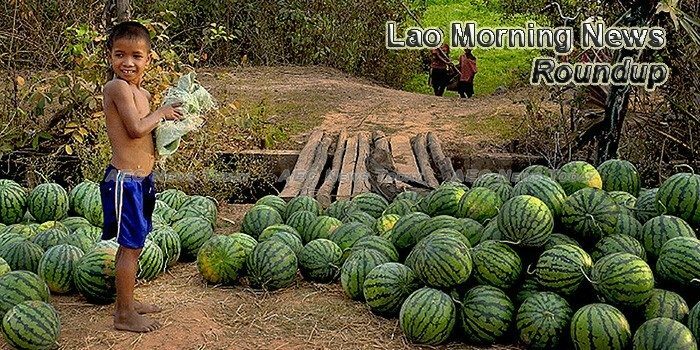 IFC, a member of the World Bank Group, is supporting Lao PDR to improve the country’s investment climate. The goal is to enable a business-friendly environment to attract private investments in Lao PDR. Prime Minister Thongloun Sisoulith has stressed for Savannakhet province authorities to enhance their management of government development projects and to create favourable conditions for private investment. Aide au Dévelopment de la Santé (ADS) has confirmed it will continue to support the cardiology department at Mahosot Hospital to assist the diagnosis and treatment of heart conditions. Minister of Labour and Social Welfare Khampheng Xaysompheng and his Thai Counterpart Pol. Gen. Adul Sangsingkeo opened the Post-Arrival and Reintegration Centre for Migrant Workers, the fourth of its kind, in Mukdahan, Thailand on Apr 4. As in many provinces across the country, local authorities play a very important role in ensuring target groups of under 5 children receive vaccination. Vientiane City 2 Bus Service (VCBS) has announced on its Facebook page that the Wattay International Airport shuttle service will be suspended temporarily for three days during Lao New Year celebrations.